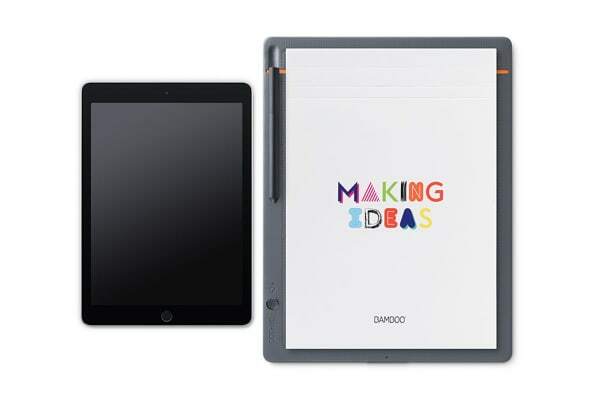 Take handwritten notes and ideas further with the Wacom Bamboo Slate A4 Smartpad. 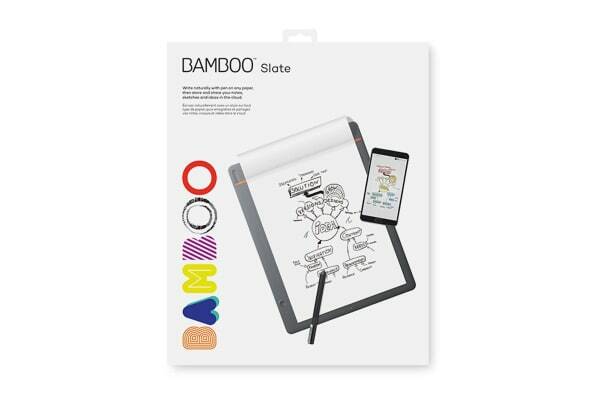 With the push of a button, Bamboo Slate converts your handwriting into living digital files. 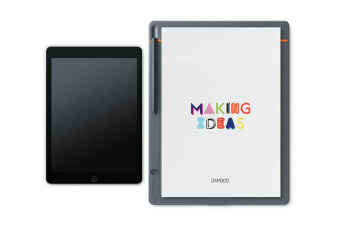 There’s no limit to your ideas with the Wacom Bamboo Slate A4 Smartpad. 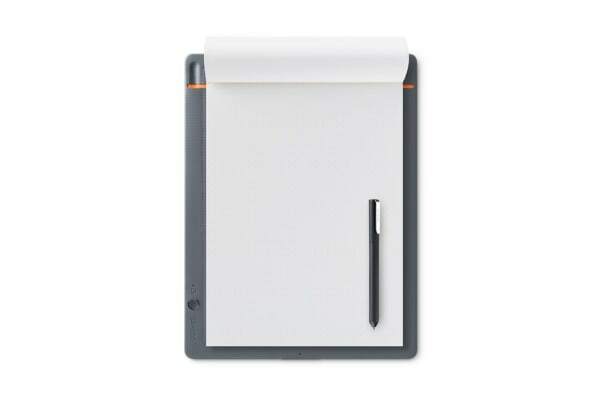 Write on any paper and with a push of a button convert your handwritten notes and sketches into digital files. With the Wacom Inkspace app and your Bluetooth-enabled iOS or Android device, you can organize, edit and share your notes and sketches. Plus, you can combine pages of notes, add strokes, color or highlights to existing notes with editable digital ink. 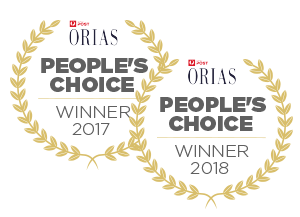 The pen’s ergonomic triangular design, soft-touch surface and pressure sensitive tip offer you a comfortable in-hand feel and perfected writing experience. 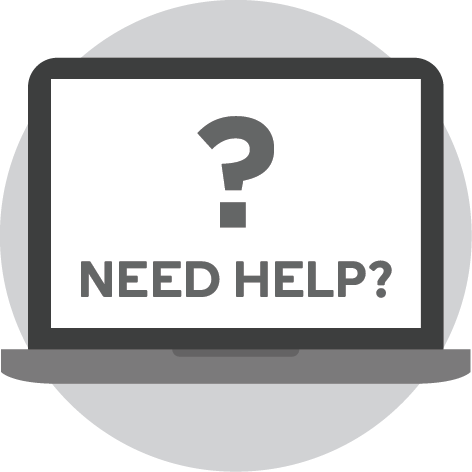 Sync your notes with the Inkspace cloud service for access on all your devices or export files directly to other cloud service such as Dropbox, Evernote or OneNote. The Wacom Inkspace app also supports exporting your work as JPG, PNG, PDF and WILL file format. Don’t worry if you’re not near your mobile device, you can store up to 100 pages on Bamboo Slate and sync later.